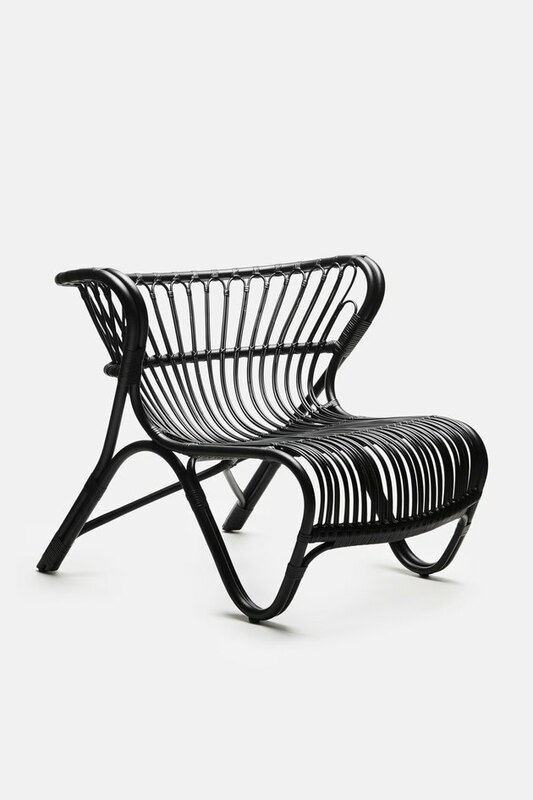 Finding the ideal chair for your afternoon lounging can feel like a monumental challenge. 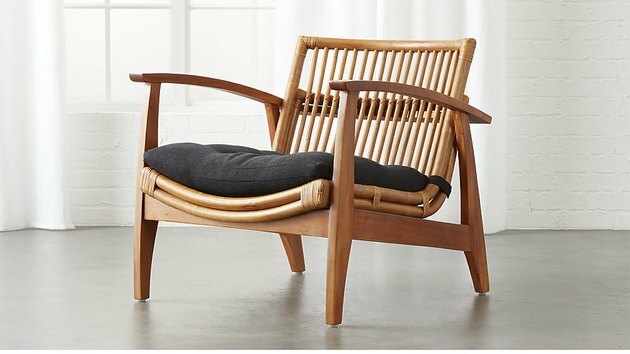 They're called lounge chairs, after all — not shift around uncomfortably chairs. 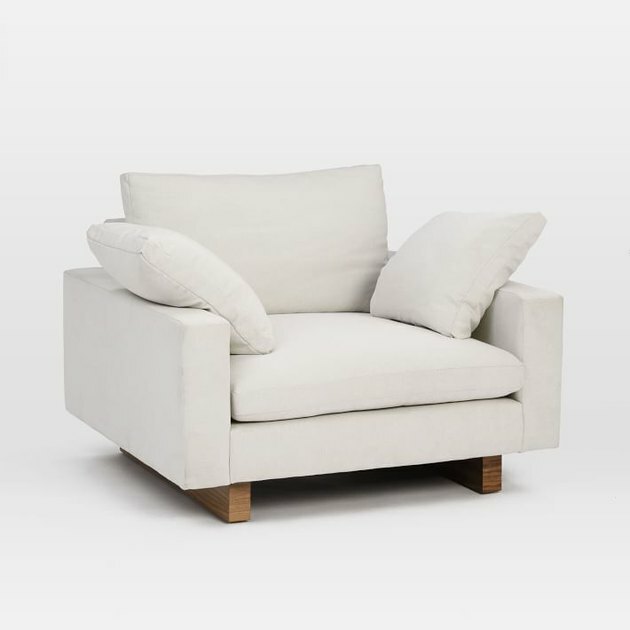 Nothing's worse than too many angles, or a seat that's too hard, or even its opposite: cushions so darn plush you feel like you're flailing about on a cloud. Whether you prefer to curl up, sit cross-legged, or stretch out, one of these ultra-comfy lounge chairs promises to be your perfect match. 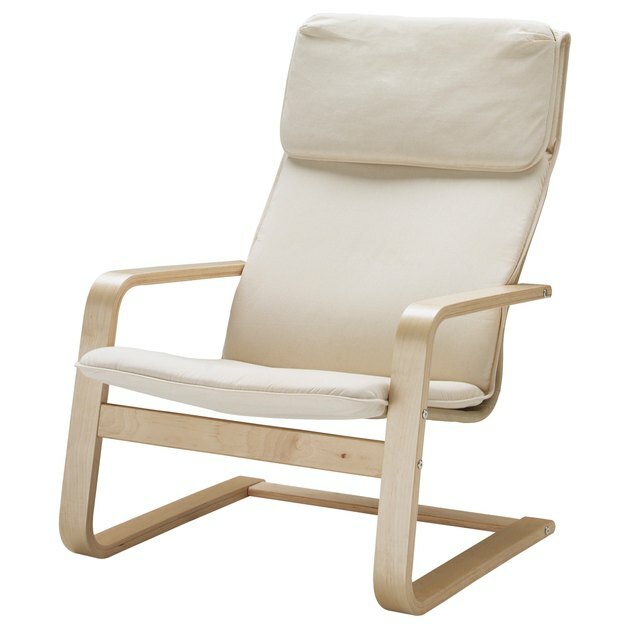 Inspired by Italian midcentury design, this lounge chair is all about craftsmanship. 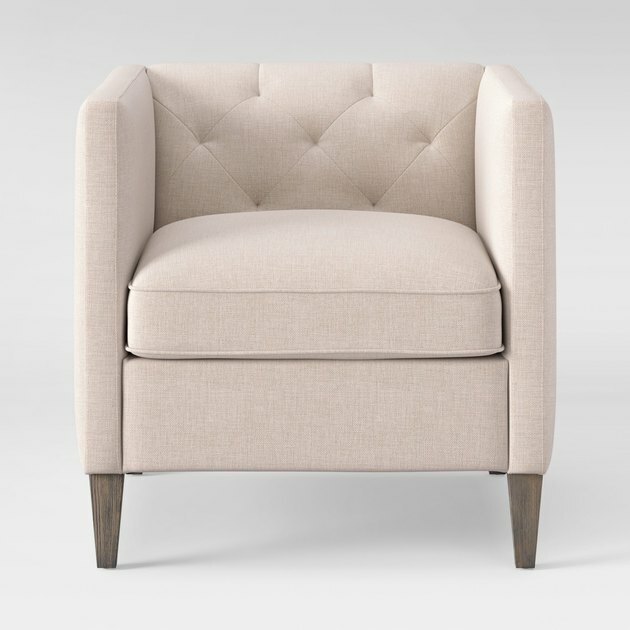 The combo of a tall back with a pitched seat and upholstered armrests gives you the comfort and support you crave, wrapped in an elegantly modern package. 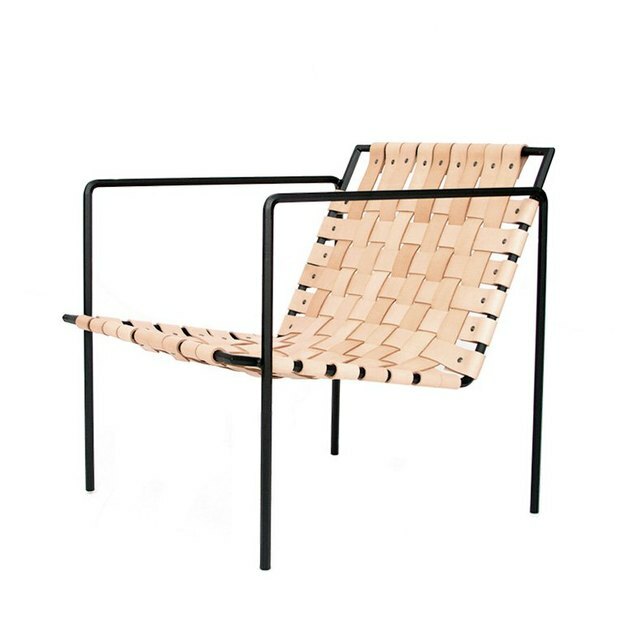 You know we are huge fans of pretty much anything rattan, and this lounge chair is no exception. The warm mahogany and rattan frame, complemented by a plush tufted cushion, form a strong silhouette that just begs you to take a seat. Sink into this comfortable dish chair from World Market. Its round and sunny disposition will be sure to brighten up any room. 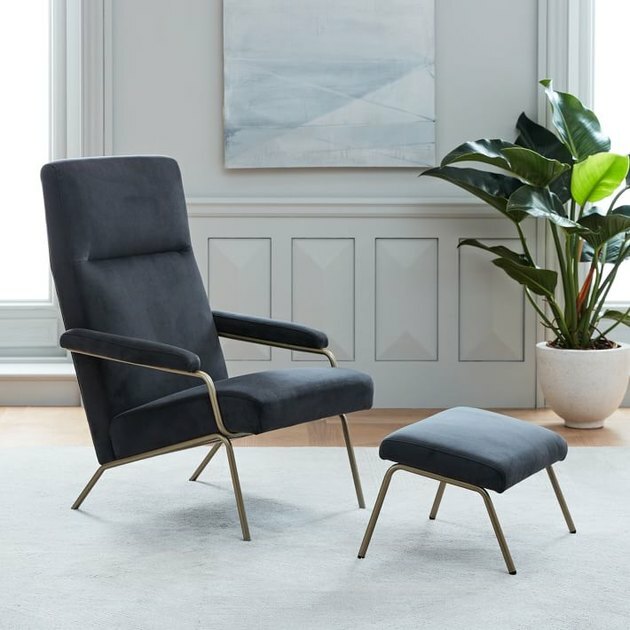 This boxy yet elegant lounge chair hints at the classic wingback with its tufted back, without sacrificing its thoroughly modern style. And bonus: This little number is Standard 100 by OEKO-TEX certified, which means it is "free from harmful levels of more than 300 substances," according to Target. This Scandinavian number is simply stunning, not to mention it will make the perfect addition to your carefully curated minimalist living room. 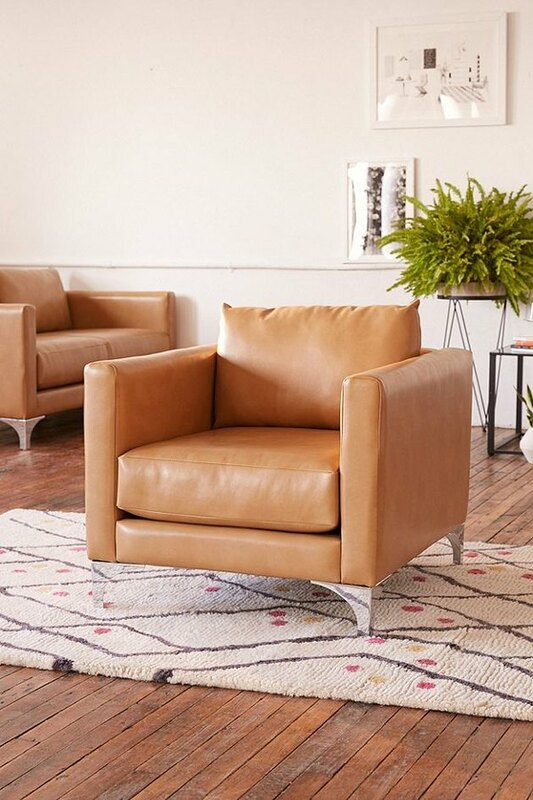 This buttery, recycled leather chair from UO is the perfect place to enjoy an after-dinner bourbon — or your morning coffee. You can have your cake and eat it too with this deep-seated lounge chair. Not only is this roomy option sustainably made — with filling from recycled plastic bottles and a frame made from responsibly sourced wood — but it's also super comfy. Want to add some color to an all-white palette? 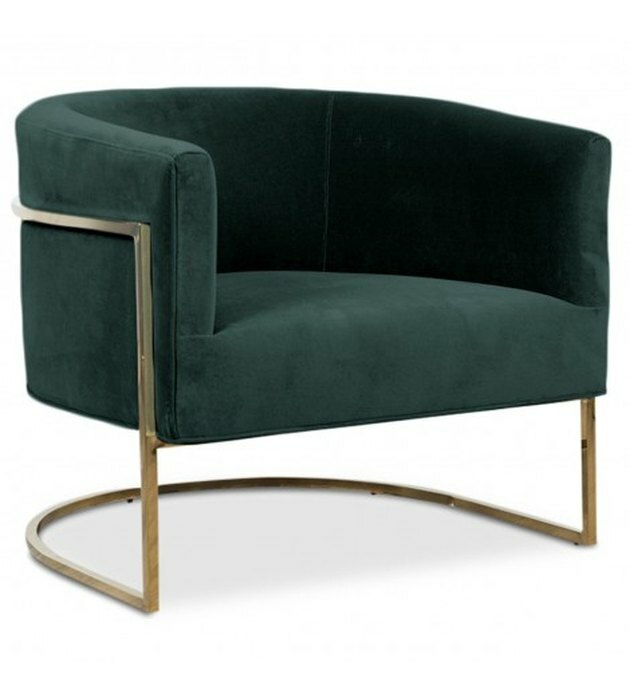 This emerald green, curved velvet lounge chair from Lulu and Georgia will do the trick, and up the wow factor in the process. 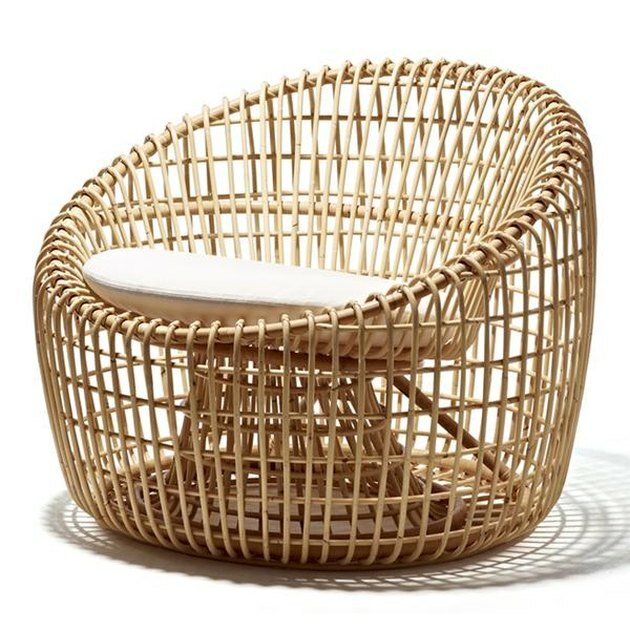 Rattan never looked (or felt) so good! 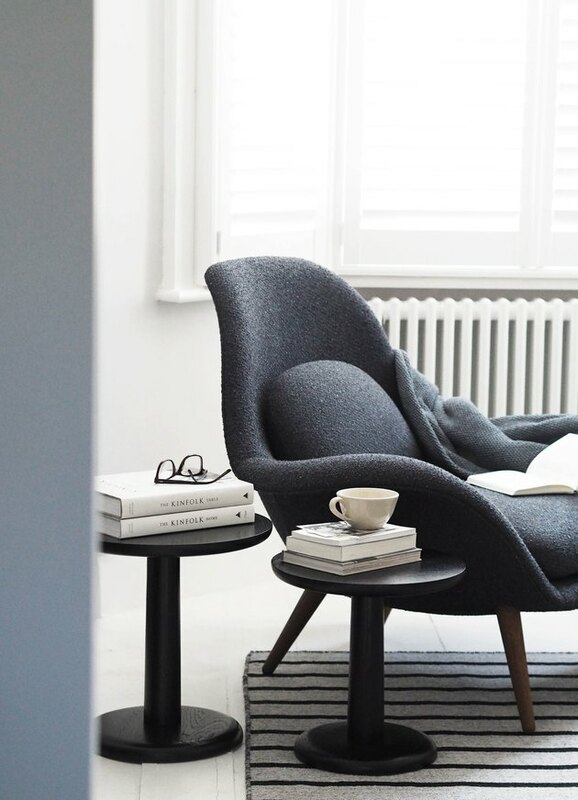 The smooth curves of this polished black, Danish style lounge chair hugs the body and pleases the eye every time you take a seat. Bring a hint of industrial-chic to your humble abode with this gorgeous iron frame chair handmade in Los Angeles. The vegetable-tanned leather straps add just enough color without overwhelming the simple design — not to mention, they will age beautifully and get more and more comfortable over time. 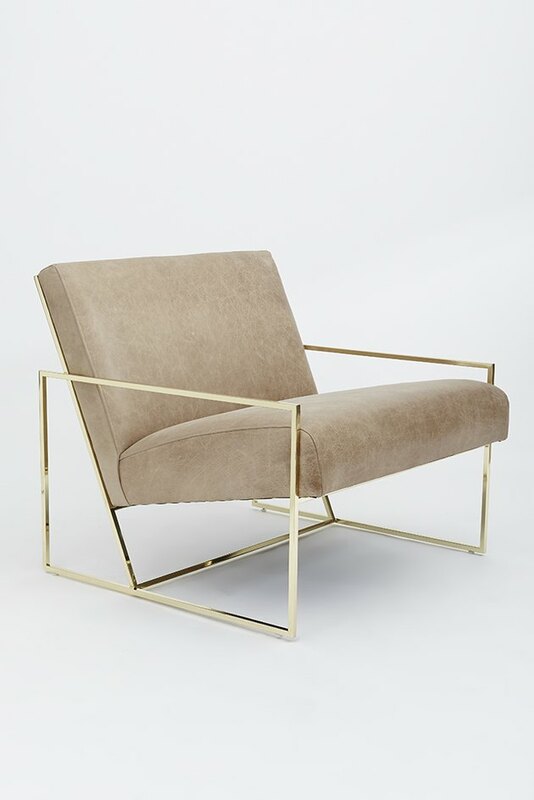 Sure, this stunning thin-frame lounge chair from Lawson-Fenning is a little pricey, but it makes a jaw-dropping statement. 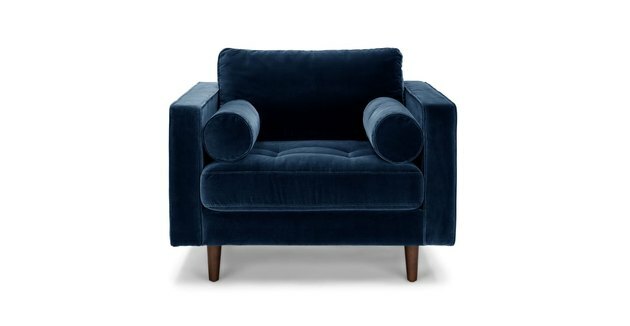 Soak up all the midcentury vibes this lounge chair has to offer as you collapse into its luxe velvet upholstered frame. With striking clean lines, a tufted seat, and two plush bolsters to complete the look, it's hard not to stare. Expect to see natural-looking fabrics making a big comeback this year. 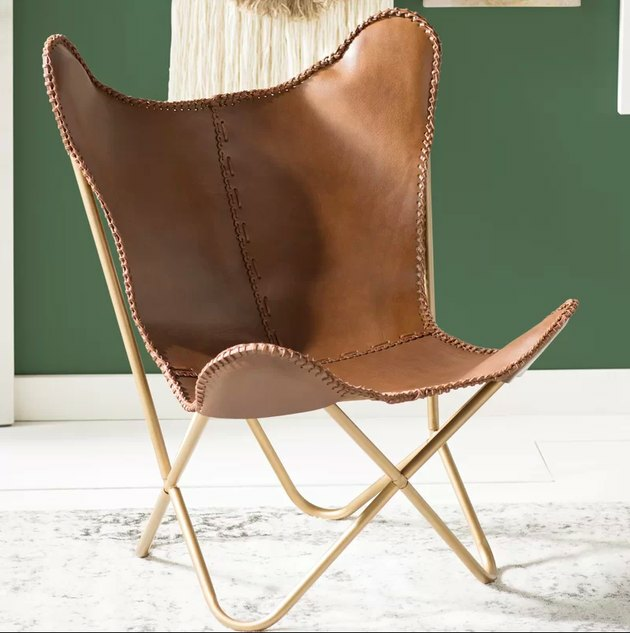 Bring the trend home with this rustic leather butterfly chair from All Modern. 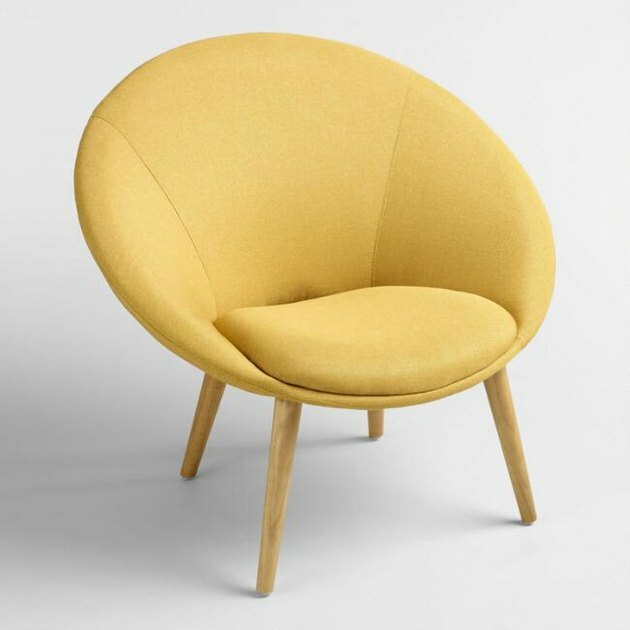 This curvaceous lounge chair looks cozy enough to nap in. The sculptural rattan frame would pair beautifully with boho interiors that we all love and adore. Millennial pink still reigns supreme. 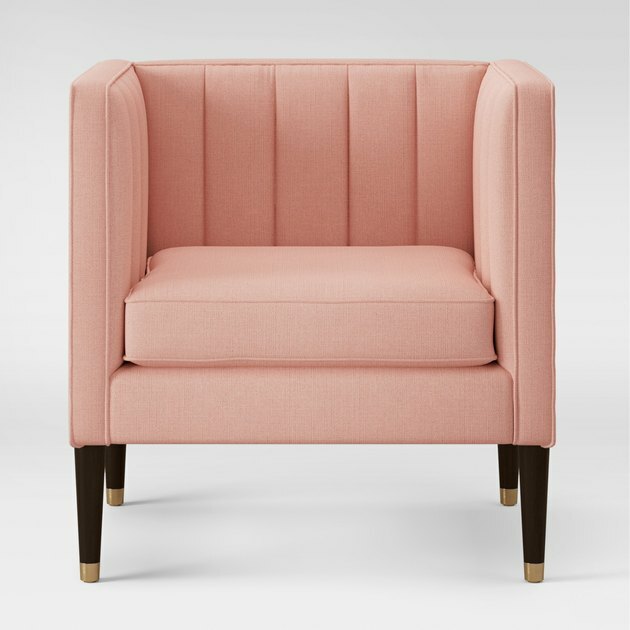 Add a touch of soft blush to your living room with this channel-tufted, midcentury armchair.